High level of technical and aesthetic with their perfect welding performed by the latest machinery. Conical cylinder tank, vertical, an opening angle of 10 °. Large cooling surfaces on the cylinder. Insulation and welds are smooth and pickled. EnoBeer Tank: meticulous attention to the realization and attention to detail, the ultimate in cleaning, organoleptic safety of beer. High level of technical and aesthetic expertise with their perfect welding performed by the latest generation of machinery. Insulation and welds are smooth. Large cooling surfaces on the cylinder and in the cone. All the external closing parts of the insulation are completely welded. EnoBeer Tank thanks to the meticulous attention to the realization and attention to detail, the ultimate in cleaning, organoleptic safety of beer. CE certification and PED certification. 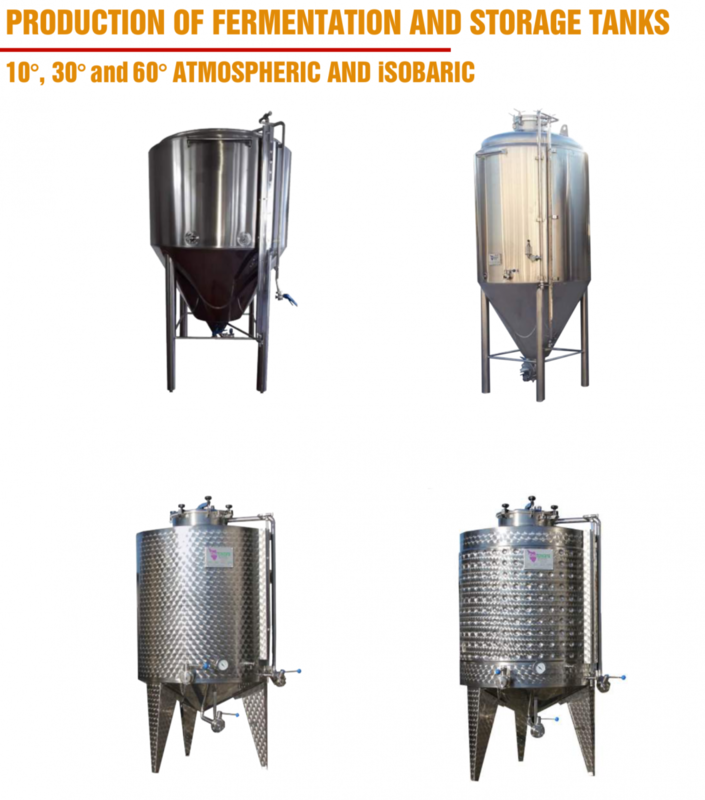 EnoBeer Tank: meticulous attention to the realization and attention to detail, the best in terms of cleanliness, organoleptic safety of the beer.